For this year's edition, see Sanremo Music Festival 2019. Pop music, Folk music, rock music, classical music etc. The Festival della canzone italiana di Sanremo (in English: Italian song festival of Sanremo) is the most popular Italian song contest and awards, held annually in the town of Sanremo, Liguria, and consisting of a competition amongst previously unreleased songs. Usually referred to as Festival di Sanremo, or outside Italy as Sanremo Music Festival or Sanremo Music Festival Award, it was the inspiration for the Eurovision Song Contest. It is the music equivalent to the Premio Regia Televisiva for television, the Premio Ubu for stage performances, and the Premio David di Donatello for motion pictures, but with a longer history and contest associated with. The first edition of the Sanremo Music Festival, held between 29 and 31 January 1951, was broadcast by RAI's radio station Rete Rossa and its only three participants were Nilla Pizzi, Achille Togliani and Duo Fasano. Starting from 1955 all the editions of the Festival have been broadcast live by the Italian TV station Rai 1. 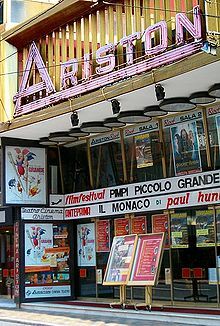 From 1951 to 1976, the Festival took place in the Sanremo Casino, but starting from 1977, all the following editions were held in the Teatro Ariston, except 1990's one, held at the Nuovo Mercato dei Fiori. Between 1953 and 1971, except in 1956, each song was sung twice by two different artists, each one using an individual orchestral arrangement, to illustrate the meaning of the festival as a composers' competition, not a singers' competition. 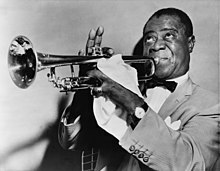 During this era of the festival, it was custom that one version of the song was performed by a native Italian artist while the other version was performed by an international guest artist., and that was the way for many international artists to debut with hits in Italian market in those years, such a case for Louis Armstrong, Stevie Wonder, Jose Feliciano, Roberto Carlos, Paul Anka, Yardbirds, Marianne Faithfull, Shirley Bassey, Mungo Jerry and many others. The festival is used as the way of choosing the Italian entry to the Eurovision Song Contest and it has launched the careers of some of Italy's most successful singers, including Andrea Bocelli, Paola e Chiara, Il Volo, Giorgia, Laura Pausini, Eros Ramazzotti, and Gigliola Cinquetti. 3 Critics Award "Mia Martini"
The Sanremo Casino hosted the Sanremo Music Festival between 1951 and 1976. In the aftermath of World War II, one of the proposals to revitalize the economy and the reputation of Sanremo was to create an annual music festival to be held in the city. During the summer of 1950, the administrator of the Sanremo Casino, Piero Bussetti, and the conductor of the RAI orchestra, Giulio Razzi, rediscussed the idea, deciding to launch a competition among previously unreleased songs. Officially titled Festival della Canzone Italiana (English: Italian song festival), the first edition of the show was held at the Sanremo Casino on 29, 30 and 31 January 1951. The final of the competition was broadcast by Rete Rossa, the second most important RAI radio station. Twenty songs took part in the competition, performed by three artists only–Nilla Pizzi, Duo Fasano and Achille Togliani. Starting from the third edition of the festival, held in 1953, each song was performed by two different artists with different orchestras and arrangements. 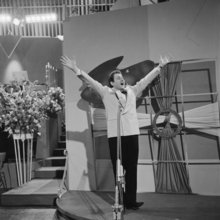 Two years later, in 1955, the festival made its first appearance on television, since part of the final night was also broadcast by RAI's channel Programma Nazionale. The last night of the show was also broadcast in Belgium, France, Germany, the Netherlands and Switzerland. In 1964, Gianni Ravera, who organized the 14th Sanremo Music Festival, slightly changed the rules of the contest, requiring each song to be performed once by an Italian artist, and once by an international singer, which was allowed to perform the song in any language. The same rule was applied in the following year's contest. Between 1967 and 1971, entries were not forced to be interpreted by foreign artists, but double performances were kept. Starting from 1972, each entry was sung by one artist only. The Teatro Ariston hosts the Sanremo Music Festival since 1977. The only exception was 1990's contest, hosted at Sanremo's Palafiori. The competing artists were split for the first time into "Big artists" and "Young artists" during the Sanremo Music Festival 1974. The competition had one winner only, but the entries in the "Young artists" category had to go through an elimination round, while "Big artists" were directly admitted to the final. In 1977, the Sanremo Casino, which hosted all the previous editions of the contest, was not available for renovations, therefore the show moved to the Teatro Ariston. The theater later became the usual location for the annual contest, hosting it every year except in 1990, when the show was held at the Nuovo Mercato dei Fiori, also known as Palafiori. In 1980, pre-recorded backing tracks replaced the orchestra, while playback performances were allowed in 1983 during the final. In 1984 and 1985, all the artists were forced to perform in playback, while live performances with the orchestra were reintroduced in 1986. During the same years, several other changes were introduced in the contest. In 1982, accredited music journalists decided to create an award to recognise the best song competing in the festival. Starting from 1983, the prize was officially awarded during the event. The critics' prize was later entitled to Mia Martini, who was the first artist receiving it in 1982 for her entry "E non finisce mica il cielo". Moreover, starting from 1984, the separation between newcomers and established artists was marked introducing two different competitions with separate winners. In 1989 a third category, the Upcoming Artists Section, was introduced, but it was removed the following year. Only in 1998 the top three artists in the newcomers section were allowed to compete in the main competition. This led to the victory of the debuting Annalisa Minetti, which generated several controversy and led to the reintroduction of completely separate competitions starting from 1999. The distinction among different categories was abolished again in 2004. The following year, the contest included five different categories—Newcomers, Men, Women, Groups and Classics. The winner of each category competed for the final victory of the contest. The category Classic was abolished in 2006, while starting from 2007 the festival came back to the rules used in the 1990s, with two completely separated competitions for established artists and newcomers. In 2009, a new competition, entirely held through the Web, was introduced by the president of the 59th edition of the contest, Paolo Bonolis. Titled Sanremofestival.59, the contest was not held in the following years. Domenico Modugno won the Sanremo Music Festival in 1958, 1959, 1962 and 1966. Brazilian singer Roberto Carlos won the Sanremo Music Festival with Sergio Endrigo in 1968. Adriano Celentano and Claudia Mori won the Sanremo Music Festival in 1970. "Il cuore è uno zingaro"
"Un grande amore e niente più"
Anna Oxa won the Sanremo Music Festival in 1989 with Fausto Leali, singing "Ti lascerò". She also won ten years later with "Senza pietà". "Si può dare di più"
Giorgia won the Sanremo Music Festival in 1995. In 2001, she took second place singing "Di sole e d'azzurro". "Senza te o con te"
Elisa debuted in the Sanremo Music Festival in 2001, when she won with the song "Luce (Tramonti a nord est)", co-written with Italian singer-songwriter Zucchero. It was her first Italian-language song. "Luce (Tramonti a nord est)"
Emma Marrone, winner of the 2012 festival with her song "Non è l'inferno"
"Per tutte le volte che..."
Eros Ramazzotti was the first winner of the Newcomers section, in 1984, with the song "Terra promessa". He also ranked first in the big section in 1986 with "Adesso tu". Laura Pausini started her career in 1993, when she won the Newcomers section of the Sanremo Music Festival with "La solitudine". Andrea Bocelli won the Newcomers section of the Sanremo Music Festival in 1994 with "Il mare calmo della sera". Dolcenera won the Sanremo Music Festival in the Newcomers section in 2003, singing "Siamo tutti là fuori". "È vero (che ci sei)"
Sanremofestival.59 (Web contest) "Buongiorno gente"
Mia Martini was the first winner of the Critics Award, in 1982. The Award was later entitled to her memory. Fiorella Mannoia won the Critics Award in 1987 and in 1988. Malika Ayane won the Critics Award in 2010 and in 2015, singing "Ricomincio da qui" and "Adesso e qui (nostalgico presente)", respectively. Raphael Gualazzi won the Critics Award in the Newcomers section in 2011, with the song "Follia d'amore". Louis Armstrong participated in the festival in 1968. 1964: Peggy March, team partner of Claudio Villa with "Passo su passo", semi-finals only. 1965: Connie Francis, team partner of Gigliola Cinquetti with "Ho bisogno di vederti". 1965: Petula Clark, team partner of Betty Curtis with "Invece no". 1965: Dusty Springfield, team partner of Gianni Mascolo with "Di fronte all'amore", semi-finals only. 1965: Audrey Arno, team partner of Remo Germani with "Prima o poi". 1966: Gene Pitney, team partner of Caterina Caselli with "Nessuno mi può giudicare". 1966: Pat Boone, team partner of Peppino Gagliardi with "Se tu non fossi qui"
1967: Dalida, team partner of Luigi Tenco with "Ciao, amore ciao", semi-finals only. 1968: Roberto Carlos, team partner of Sergio Endrigo with "Canzone per te" (winner). 1968: Bobbie Gentry, team partner of Al Bano with "La siepe". 1968: Dionne Warwick, team partner of Tony del Monaco with "La voce del silenzio". 1968: Louis Armstrong, team partner of Lara Saint Paul with "Mi va di cantare". 1968: Wilson Pickett, team partner of Fausto Leali with "Deborah". 1969: Mary Hopkin, team partner of Sergio Endrigo with "Lontano dagli occhi" (second place). 1969: Stevie Wonder, team partner of Gabriella Ferri with "Se tu ragazzo mio", semi-finals only. 1971: José Feliciano, team partner of Ricchi e Poveri with "Che sarà" (second place). 1990: Ray Charles, team partner of Toto Cutugno with "Gli amori" (second place). 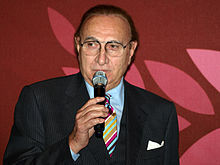 Pippo Baudo presented thirteen editions of the Sanremo Music Festival. The first edition of the Sanremo Music Festival was hosted by Nunzio Filogamo. He also hosted the next three editions of the musical event. In 2003, Pippo Baudo hosted the festival for the eleventh time, matching the record previously held by Mike Bongiorno. He later overtook this record, hosting the Sanremo Music Festival in 2007 and in 2008. Povia at the 2009 Sanremo Festival. In 2009 the song "Luca era gay" (English: Luca Was Gay), written and sung by Povia, was considered by some gay rights organizations as an anti-gay song. The controversy was also based on the name of the song's character: according to Aurelio Mancuso, president of the Arcigay, the name refers to Luca Tolvi, who claimed that Joseph Nicolosi cured his homosexuality. Povia denied this thesis and claimed that the song is about a man he met on a train, whose real name is Massimiliano. The song won second place in the Festival. In The Talented Mr. Ripley by Patricia Highsmith and its film adaptations, Dickie Greenleaf invites Tom Ripley to travel to the Sanremo Music Festival to enjoy some jazz, as a parting gesture before sending Ripley on his way. The ensuing events in San Remo have major implications for all of the characters. In 1960 future Italian pop legend Mina Mazzini made her Sanremo debut. This singing contest helped launch her career. The song "Perdere l'amore" was proposed in 1987 by Gianni Nazzaro and rejected in the preliminary song screening. A year later it was proposed by Massimo Ranieri and won the contest. In 1990 Patty Pravo turned down the opportunity to participate in the Sanremo Music Festival with "Donna con te", which was sung in the event by Anna Oxa. In 2007, the song "Bruci la città" was rejected in the screening, mainly as a decision of that year's artistic director Pippo Baudo, who later explained that the decision was due to the poor quality of the received demo. However, the song was later released by Irene Grandi and became one of her biggest hits. Brit Awards, the British equivalent. Juno Award, the Canadian equivalent. Victoires de la Musique the French equivalent. Grammy Award, the American equivalent. Eurovision Song Contest, the European equivalent. ^ Mario Luzzatto Fegiz (3 February 2003). "Così finisce l' era della vecchia gara". Corriere della Sera (in Italian). Archived from the original on 8 September 2014. Retrieved 1 December 2011. ^ Yiorgos Kasapoglou (27 February 2007). "Sanremo Music Festival kicks off tonight". www.esctoday.com. Archived from the original on 12 March 2011. Retrieved 18 August 2011. ^ Adinolfi, Francesco (2008). Mondo Exotica: Sounds, Visions, Obsessions of the Cocktail Generation. Translated by Pinkus, Karen; Vivrette, Jason. Durham: Duke University Press. pp. x. ISBN 9780822341321. OCLC 179838406. ^ Giovanni De Luna (5 February 2011). "Quante Italie racconta Sanremo". La Stampa. Archived from the original on 30 March 2012. Retrieved 1 October 2011. ^ "Festival di Sanremo, fotostoria in bianco e nero - Sanremo 1955, il Festival è trasmesso per la prima volta in tv". Panorama (in Italian). 17 February 2011. Archived from the original on 3 April 2012. Retrieved 1 October 2011. ^ "1955: Sanremo anche da guardare" (in Italian). RAI. Archived from the original on 3 June 2006. Retrieved 1 October 2011. ^ "Festival della Canzone Italiana" (in Italian). www.aristonsanremo.com. Archived from the original on 13 September 2011. Retrieved 1 October 2011. ^ "Dal casinò oggi il lancio del Festival". La Stampa (in Italian). Retrieved 1 October 2011. ^ a b c d e Paolo Gallori. "Anno per anno la storia del Festival". la Repubblica (in Italian). Archived from the original on 24 February 2011. Retrieved 1 October 2011. ^ "Biografia di Andrea Bocelli" (in Italian). RAI. Archived from the original on 31 October 2010. Retrieved 1 December 2011. ^ Sandra Cesarale (7 July 2003). "Il principe De Gregori e la regina Giorgia". Corriere della Sera (in Italian). Archived from the original on 21 February 2014. Retrieved 1 December 2011. ^ Federica Palladini (15 February 2011). "Laura Pausini: nuovo album portafortuna". Elle. Archived from the original on 26 April 2012. Retrieved 1 December 2011. ^ Mario Luzzatto Fegiz (20 September 1993). "Com'è cresciuto il piccolo Eros". Corriere della Sera (in Italian). Archived from the original on 25 February 2009. Retrieved 1 December 2011. ^ Paolo Gallori. "I protagonisti storici del Festival di Sanremo". la Repubblica (in Italian). Archived from the original on 24 February 2011. Retrieved 1 December 2011. ^ a b "Festival di Sanremo - La storia: 1951-1960" (in Italian). RAI. Archived from the original on 17 October 2008. Retrieved 8 June 2012. ^ Luca Pollini (12 February 2010). "Sanremo Story". GQ Italia (in Italian). Archived from the original on 13 November 2013. Retrieved 8 June 2012. ^ a b "Il Festival di Sanremo - Dagli esordi agli anni Settanta". Corriere della Sera (in Italian). Archived from the original on 8 June 2012. Retrieved 8 June 2012. ^ Timisoara Pinto. "Festival di Sanremo 1953. I vincitori" (in Italian). RAI. Archived from the original on 5 November 2013. Retrieved 8 June 2012. ^ "Sanremo 1955 - Storia e storie del festival" (in Italian). RAI. Archived from the original on 8 June 2012. Retrieved 8 June 2012. ^ Dario Salvatori, Maria Cristina Zoppa. "Sanremo 1964. L'età e Gigliola, Renis e i sorrisi" (in Italian). RAI. Archived from the original on 5 November 2013. Retrieved 9 June 2012. ^ "Il quindicesimo Festival di Sanremo". Corriere della Sera (in Italian). 28 January 1965. Archived from the original on 11 June 2012. Retrieved 9 June 2012. ^ "Festival di Sanremo - La storia: 1971-1980" (in Italian). RAI. Archived from the original on 17 October 2008. Retrieved 9 June 2012. ^ "Sanremo 1977 - Storia e storie del Festival" (in Italian). RAI. Archived from the original on 5 November 2013. Retrieved 9 June 2012. ^ "Sanremo 2010: l'Ariston e i 60 anni di Festival" (in Italian). Rockol.it. 16 February 2010. Retrieved 9 June 2012. ^ "Sanremo, il festival emigrerà al Palafiori". la Repubblica (in Italian). 29 November 1989. p. 34. ^ a b "Il Festival di Sanremo - Dagli anni Ottanta ad oggi". Corriere della Sera (in Italian). Archived from the original on 9 June 2012. Retrieved 9 June 2012. ^ Pippo Augliera (10 February 2012). "A Sanremo 2012 il Premio della Critica - intitolato a Mia Martini dal '96 - compie 30 anni" (in Italian). Musicalnews.com. Archived from the original on 24 March 2012. Retrieved 9 June 2012. ^ "Sanremo 1989 - Storia e storie del Festival" (in Italian). RAI. Archived from the original on 6 February 2013. Retrieved 9 June 2012. ^ Gloria Pozzi, Mauro Luzzato Fegiz (31 July 1998). "Sanremo, retromarcia: big e giovani divisi". Corriere della Sera (in Italian). p. 31. Archived from the original on 26 December 2013. Retrieved 9 June 2012. ^ "Sanremo, ecco il progetto-Renis. Big e giovani tutti insieme". la Repubblica (in Italian). 11 November 2003. Archived from the original on 4 November 2012. Retrieved 9 June 2012. ^ "La giuria prepara la lista e il pubblico sceglie il vincitore". la Repubblica (in Italian). 21 February 2005. Archived from the original on 21 May 2012. Retrieved 9 June 2012. ^ "Sanremo 2006: sarà ancora il pubblico (col televoto) a scegliere i vincitori" (in Italian). Rockol.it. 14 November 2005. Retrieved 9 June 2012. ^ "Ecco il Festival di Baudo: ritorni e attese". Corriere della Sera (in Italian). 26 February 2007. Archived from the original on 30 October 2015. Retrieved 9 June 2012. ^ "Sanremo: Il nuovo regolamento, in gara 15 Artisti e 8 Proposte 2009" (in Italian). Adnkronos. 20 November 2007. Archived from the original on 5 November 2013. Retrieved 9 March 2012. ^ a b Ernesto Assante (13 March 2011). "Addio a Nilla Pizzi con la sua voce fece cantare l'Italia". la Repubblica (in Italian). Retrieved 17 August 2011. ^ a b "Il Festival di Sanremo - I vincitori degli anni '50" (in Italian). RAI. Archived from the original on 28 September 2011. Retrieved 17 August 2011. ^ a b c "Festival di Sanremo del 1954" (in Italian). www.festival.vivasanremo.com. Archived from the original on 30 September 2011. Retrieved 17 August 2011. ^ Paolo Gallori (20 February 1999). "La storia del Festival - Gli anni Cinquanta e Sessanta". la Repubblica. Archived from the original on 27 January 2011. Retrieved 17 August 2011. ^ "16 Years of Songs". Billboard: 56. 4 February 1967. ^ "Domenico Modugno; Recorded 'Volare'". Los Angeles Times. 9 August 1994. Archived from the original on 2 October 2011. Retrieved 17 August 2011. ^ Andrea Silenzi (21 February 1998). "1958: con Domenico Modugno Sanremo comincia a Volare" (in Italian). la Repubblica. Archived from the original on 22 February 2011. Retrieved 17 August 2011. ^ Franco Tettamanti (9 March 2011). "1957, Tony Dallara il principe degli urlatori". Corriere della Sera (in Italian). Archived from the original on 11 September 2012. Retrieved 17 August 2011. ^ "Festival di Sanremo del 1961" (in Italian). www.festival.vivasanremo.com. Archived from the original on 9 August 2011. Retrieved 17 August 2011. ^ "Sanremo 1962 - Storia e storie del Festival" (in Italian). RAI. Archived from the original on 28 September 2011. Retrieved 17 August 2011. ^ "Festival di Sanremo del 1963" (in Italian). www.festival.vivasanremo.com. Archived from the original on 30 September 2011. Retrieved 17 August 2011. ^ "Festival di Sanremo del 1964" (in Italian). www.festival.vivasanremo.com. Archived from the original on 7 May 2002. Retrieved 17 August 2011. ^ "Sanremo 1965 - Storia e storie del festival" (in Italian). RAI. Archived from the original on 28 September 2011. Retrieved 17 August 2011. ^ "Sanremo 1966 - Storia e storie del festival" (in Italian). RAI. Archived from the original on 28 September 2011. Retrieved 17 August 2011. ^ "Sanremo 1967 - Storia e storie del festival" (in Italian). RAI. Archived from the original on 28 September 2011. Retrieved 17 August 2011. ^ "Sanremo 1968 - Storia e storie del festival" (in Italian). RAI. Archived from the original on 28 September 2011. Retrieved 17 August 2011. ^ "Sanremo 1969 - Storia e storie del festival" (in Italian). RAI. Archived from the original on 28 September 2011. Retrieved 17 August 2011. ^ "Sanremo 1970 - Storia e storie del festival" (in Italian). RAI. Archived from the original on 28 September 2011. Retrieved 17 August 2011. ^ "Sanremo 1971 - Storia e storie del festival" (in Italian). RAI. Archived from the original on 28 September 2011. Retrieved 17 August 2011. ^ "Sanremo 1972 - Storia e storie del festival" (in Italian). RAI. Archived from the original on 28 September 2011. Retrieved 17 August 2011. ^ "Sanremo 1973 - Storia e storie del festival" (in Italian). RAI. Archived from the original on 28 September 2011. Retrieved 17 August 2011. ^ "Sanremo 1974 - Storia e storie del festival" (in Italian). RAI. Archived from the original on 28 September 2011. Retrieved 17 August 2011. ^ "Sanremo 1975 - Storia e storie del festival" (in Italian). RAI. Archived from the original on 28 September 2011. Retrieved 17 August 2011. ^ "Sanremo 1976 - Storia e storie del festival" (in Italian). RAI. Archived from the original on 28 September 2011. Retrieved 17 August 2011. ^ "Sanremo 1977 - Storia e storie del festival" (in Italian). RAI. Archived from the original on 28 September 2011. Retrieved 17 August 2011. ^ "Sanremo 1978 - Storia e storie del festival" (in Italian). RAI. Archived from the original on 28 September 2011. Retrieved 17 August 2011. ^ "Sanremo 1979 - Storia e storie del festival" (in Italian). RAI. Archived from the original on 28 September 2011. Retrieved 17 August 2011. ^ "Festival di Sanremo del 1980" (in Italian). www.festival.vivasanremo.com. Archived from the original on 30 September 2011. Retrieved 17 August 2011. ^ "Sanremo 1981 - Storia e storie del festival" (in Italian). RAI. Archived from the original on 27 September 2011. Retrieved 17 August 2011. ^ "Festival di Sanremo 1982. I vincitori" (in Italian). RAI. Archived from the original on 29 September 2012. Retrieved 17 August 2011. ^ "Festival di Sanremo del 1983" (in Italian). www.festival.vivasanremo.com. Archived from the original on 21 July 2002. Retrieved 17 August 2011. ^ a b "Festival di Sanremo del 1984" (in Italian). www.festival.vivasanremo.com. Archived from the original on 6 June 2012. Retrieved 17 August 2011. ^ a b "Festival di Sanremo del 1985" (in Italian). www.festival.vivasanremo.com. Archived from the original on 30 September 2011. Retrieved 17 August 2011. ^ a b "Festival di Sanremo del 1986" (in Italian). www.festival.vivasanremo.com. Archived from the original on 30 September 2011. Retrieved 17 August 2011. ^ a b "Festival di Sanremo del 1987" (in Italian). www.festival.vivasanremo.com. Archived from the original on 9 August 2011. Retrieved 17 August 2011. ^ a b "Festival di Sanremo del 1988" (in Italian). www.festival.vivasanremo.com. Archived from the original on 24 July 2011. Retrieved 17 August 2011. ^ a b "Festival di Sanremo del 1989" (in Italian). www.festival.vivasanremo.com. Archived from the original on 30 September 2011. Retrieved 17 August 2011. ^ Maria Pia Fusco (4 March 1990). "Pooh e Dee Dee in trionfo". la Repubblica. Retrieved 17 August 2011. ^ "Sanremo - 50 anni di storia - 1991 - Se stiamo insieme". la Repubblica. Archived from the original on 10 February 2011. Retrieved 17 August 2011. ^ Mario Luzzatto Fegiz (2 March 1992). "Mamma, mormora ancora Sanremo". Corriere della Sera (in Italian). Archived from the original on 11 September 2012. Retrieved 17 August 2011. ^ Maria Pia Fusco (28 February 1993). "Sanremo: vince Ruggeri". la Repubblica (in Italian). Retrieved 17 August 2011. ^ Valerio Cappelli (5 March 1995). "Giorgia, la cantante della porta accanto va in Campidoglio". Corriere della Sera (in Italian). Archived from the original on 11 September 2012. Retrieved 17 August 2011. ^ Gino Castaldo (25 February 1996). "Sanremo, la vittoria è di Ron". la Repubblica (in Italian). Retrieved 17 August 2011. ^ "Per i Jalisse dopo la vittoria al Festival, i veleni". Corriere della Sera (in Italian). 24 February 1997. Archived from the original on 6 June 2012. Retrieved 17 August 2011. ^ Mario Luzzatto Fegiz, Maria Volpe (1 March 1998). "La Minetti conquista Sanremo". Corriere della Sera (in Italian). Archived from the original on 11 September 2012. Retrieved 17 August 2011. ^ Maria Pia Fusco (28 February 1999). "Anna Oxa regina a Sanremo". la Repubblica. Retrieved 17 August 2011. ^ "Sanremo Big, ecco la classifica completa" (in Italian). Rockol.it. 27 February 2000. Archived from the original on 1 April 2012. ^ "Sanremo, Elisa batte Giorgia e vince il Festival delle donne". Corriere della Sera (in Italian). 4 March 2001. Archived from the original on 11 September 2012. Retrieved 17 August 2011. ^ "Successo annunciato: il Festival ai Matia Bazar". Corriere della Sera (in Italian). 10 March 2002. Archived from the original on 11 September 2012. Retrieved 17 March 2011. ^ "Alexia batte Alex nella volata di Sanremo". Corriere della Sera (in Italian). 9 March 2003. Archived from the original on 11 September 2012. Retrieved 17 August 2008. ^ "L'Uomo volante di Masini conquista Sanremo". Corriere della Sera (in Italian). Archived from the original on 16 August 2011. Retrieved 17 August 2011. ^ Andrea Laffranchi (7 March 2005). "Una canzone per la figlia (l' amore che fa vincere)". Corriere della Sera (in Italian). Archived from the original on 23 June 2009. Retrieved 17 August 2011. ^ "Il Festival a Povia, vince la poesia del piccione". Corriere della Sera (in Italian). 5 March 2006. Archived from the original on 6 June 2012. ^ Alessandra Vitali. "Sanremo, il trionfo di Cristicchi e Al Bano si prende la rivincita". la Repubblica (in Italian). Archived from the original on 24 December 2011. Retrieved 17 August 2011. ^ "Trionfano Giò di Tonno e Lola Ponce". Corriere della Sera (in Italian). 1 March 2008. Archived from the original on 28 September 2013. ^ Stefano Mannucci (22 February 2009). "Vince il talento di Amici". Il Tempo (in Italian). Archived from the original on 28 September 2011. Retrieved 17 August 2011. ^ a b "Valerio Scanu è il vincitore di Sanremo. Pubblico in rivolta per gli eliminati". Corriere della Sera (in Italian). 20 February 2010. Archived from the original on 6 August 2011. Retrieved 17 August 2011. ^ "Professore conquista il Festival: "Non me l'aspettavo mai...."". Corriere della Sera (in Italian). 19 February 2011. Archived from the original on 29 August 2011. Retrieved 17 August 2011. ^ Alessandra Vitali (19 February 2012). "Torna Celentano, vince Emma. Il podio è rosa, con Arisa e Noemi". la Repubblica (in Italian). Archived from the original on 19 February 2012. Retrieved 19 February 2012. ^ "Sanremo, vince Mengoni". La Stampa (in Italian). 17 February 2013. Archived from the original on 23 August 2013. Retrieved 17 August 2013. ^ a b Alessandra Vitali (23 February 2014). "Sanremo, vince Mengoni". la Repubblica (in Italian). Archived from the original on 23 February 2014. Retrieved 23 February 2014. ^ "Il Volo conquista Sanremo". Agenzia Nazionale Stampa Associata. 15 February 2015. Archived from the original on 15 February 2015. Retrieved 15 February 2015. ^ "Festival di Sanremo del 1990" (in Italian). www.festival.vivasanremo.com. Archived from the original on 30 September 2011. Retrieved 17 August 2011. ^ "Festival di Sanremo del 1991" (in Italian). www.festival.vivasanremo.com. Archived from the original on 30 September 2011. Retrieved 17 August 2011. ^ "Festival di Sanremo del 1992" (in Italian). www.festival.vivasanremo.com. Archived from the original on 30 September 2011. Retrieved 17 August 2011. ^ "Festival di Sanremo del 1993" (in Italian). www.festival.vivasanremo.com. Archived from the original on 14 August 2011. Retrieved 17 August 2011. ^ "Festival di Sanremo del 1994" (in Italian). www.festival.vivasanremo.com. Archived from the original on 24 July 2011. Retrieved 17 August 2011. ^ "Festival di Sanremo del 1995" (in Italian). www.festival.vivasanremo.com. Archived from the original on 30 September 2011. Retrieved 17 August 2011. ^ "Festival di Sanremo del 1996" (in Italian). www.festival.vivasanremo.com. Archived from the original on 30 September 2011. Retrieved 17 August 2011. ^ "Festival di Sanremo del 1997" (in Italian). www.festival.vivasanremo.com. Archived from the original on 30 September 2011. Retrieved 17 August 2011. ^ "Festival di Sanremo del 1998" (in Italian). www.festival.vivasanremo.com. Archived from the original on 30 September 2011. Retrieved 17 August 2011. ^ "Festival di Sanremo del 1999" (in Italian). www.festival.vivasanremo.com. Archived from the original on 30 September 2011. Retrieved 17 August 2011. ^ "Festival di Sanremo del 2000" (in Italian). www.festival.vivasanremo.com. Archived from the original on 30 September 2011. Retrieved 17 August 2011. ^ "Festival di Sanremo del 2001" (in Italian). www.festival.vivasanremo.com. Archived from the original on 30 September 2011. Retrieved 17 August 2011. ^ "Festival di Sanremo del 2002" (in Italian). www.festival.vivasanremo.com. Archived from the original on 30 September 2011. Retrieved 17 August 2011. ^ a b "Festival di Sanremo del 2003" (in Italian). www.festival.vivasanremo.com. Archived from the original on 30 September 2011. Retrieved 17 August 2011. ^ "Festival di Sanremo del 2005" (in Italian). www.festival.vivasanremo.com. Archived from the original on 30 September 2011. Retrieved 17 August 2011. ^ "Festival di Sanremo del 2006" (in Italian). www.festival.vivasanremo.com. Archived from the original on 30 September 2011. Retrieved 17 August 2011. ^ "Festival di Sanremo del 2007" (in Italian). www.festival.vivasanremo.com. Archived from the original on 30 September 2011. Retrieved 17 August 2011. ^ a b Alessandro Vitali (29 February 2008). "Giovani, vincono i Sonohra e Jovanotti viola la par condicio" (in Italian). la Repubblica. Archived from the original on 24 December 2011. Retrieved 18 August 2011. ^ "Arisa conquista il Festival" (in Italian). la Repubblica. Archived from the original on 22 January 2011. Retrieved 18 August 2011. ^ Mariella Accardo (22 February 2010). "Il Sanremo di Tony Maiello: "Il calore di Castellammare mi ha scaldato il cuore"". Corriere del Mezzogiorno (in Italian). Archived from the original on 2 October 2011. Retrieved 18 August 2011. ^ "Sanremo: con Raphael Gualazzi al festival torna a vincere Caterina Caselli" (in Italian). Adnkronos. 19 February 2011. Archived from the original on 20 February 2011. Retrieved 18 August 2011. ^ Andrea Conti (18 February 2012). "Alessandro Casillo: Così ho vinto Sanremo". TGCOM (in Italian). Mediaset. Archived from the original on 20 February 2012. Retrieved 18 February 2012. ^ Alessandra Vitali (16 February 2013). "Festival di Sanremo vintage. Giovani, vince Antonio Maggio". la Repubblica (in Italian). Archived from the original on 16 February 2013. Retrieved 16 February 2013. ^ Alessandra Vitali (14 February 2015). "Sanremo, escono Tatangelo, Raf, Fabian, Biggio&Mandelli. Caccamo vince le Nuove proposte". la Repubblica (in Italian). Archived from the original on 14 February 2015. Retrieved 14 February 2015. ^ Alessandra Vitali (10 February 2017). "Sanremo, Lele vincitore dei Giovani. Campioni, quattro tornano a casa". la Repubblica (in Italian). Archived from the original on 11 February 2017. Retrieved 10 February 2017. ^ "Sanremo 1989 - Storia e storie del Festival" (in Italian). RAI. Archived from the original on 27 September 2011. Retrieved 18 August 2011. ^ Nino Marchesano (21 February 2009). "Silvia, Ania e Simona la prima volta al Festival". la Repubblica (in Italian). Retrieved 18 August 2011. ^ "I vincitori del Premio della Critica" (in Italian). Agenzia Nazionale Stampa Associata. 19 February 2011. Archived from the original on 2 February 2012. Retrieved 18 August 2011. ^ "Festival di Sanremo: La storia: 1981-1990" (in Italian). RAI. Archived from the original on 28 September 2011. Retrieved 18 August 2011. ^ "Sanremo: Alla Rei il premio della critica" (in Italian). Adnkronos. 23 February 1996. Archived from the original on 25 September 2012. Retrieved 18 August 2011. ^ Mario Luzzatto Fegiz (22 February 1997). "Paola e Chiara: due sorelline conquistano Sanremo". Corriere della Sera (in Italian). Archived from the original on 13 September 2012. Retrieved 18 August 2011. ^ "Tre premi qualità agli Avion Travel". la Repubblica (in Italian). 1 March 1998. Retrieved 18 August 2011. ^ "Brevi". la Repubblica (in Italian). 27 February 1999. Retrieved 18 August 2011. ^ a b Mario Luzzatto Fegiz, Gloria Pozzi (26 February 2000). "Sanremo, primo verdetto: tra i giovani trionfa Jenny B." Corriere della Sera (in Italian). Archived from the original on 13 September 2012. Retrieved 18 August 2011. ^ a b Dario Olivero (2 March 2001). "Giovani, il trionfo dei Gazosa". la Repubblica (in Italian). Archived from the original on 3 February 2011. Retrieved 18 August 2011. ^ "La critica incorona Silvestri. Premiato Nino D'Angelo". Corriere della Sera (in Italian). Archived from the original on 13 September 2012. Retrieved 10 March 2002. ^ Gloria Pozzi (9 March 2002). "Gli Archinuè premiati dai critici del Festival". Corriere della Sera (in Italian). Archived from the original on 13 September 2012. Retrieved 18 August 2011. ^ Alessandra Vitali (2 March 2007). "Giovani, il vincitore è Fabrizio Moro. A Penelope Cruz l'Oscar di Pippo". la Repubblica (in Italian). Archived from the original on 24 December 2011. Retrieved 18 August 2011. ^ Alessandra Vitali (21 February 2009). "Arisa nel paese delle meraviglie: Ho vinto grazie a mamma e papà". la Repubblica (in Italian). Archived from the original on 14 December 2011. ^ Pierluigi Pisa, Alessandra Vitali (19 February 2010). "Nina fra l'Ariston e Etta James. E pensare che mi volevano suora". la Repubblica (in Italian). Archived from the original on 26 January 2011. Retrieved 18 August 2011. ^ "Sanremo: a Roberto Vecchioni il premio della critica Mia Martini" (in Italian). Adnkronos. 19 February 2011. Archived from the original on 25 September 2012. Retrieved 18 August 2011. ^ Luca Dondoni (20 February 2011). "Raphael Gualazzi: il mio sogno? Rendere popolare il jazz". La Stampa (in Italian). Archived from the original on 24 February 2011. Retrieved 18 August 2011. ^ Matteo Cruccu (19 February 2012). "Emma trionfa al Festival delle donne. Fischiato Celentano. Share al 50 %". Corriere della Sera (in Italian). Archived from the original on 19 February 2012. Retrieved 19 February 2012. ^ Michela Tamburrino (18 February 2012). "Il Festival di Sanremo acclama Siani e premia il teenager Alessandro Casillo". La Stampa (in Italian). Archived from the original on 20 February 2012. Retrieved 18 February 2012. ^ "Sanremo 2013: il premio della critica a Elio e le Storie Tese" (in Italian). Rockol.it. 17 February 2013. Archived from the original on 19 February 2013. Retrieved 15 June 2013. ^ "Sanremo: Renzo Rubino vince il premio della critica 'Mia Martini' per la sezione Giovani". Libero (in Italian). 15 February 2013. Archived from the original on 25 October 2015. Retrieved 15 June 2013. ^ "Sanremo Giovani, vince Rocco Hunt "Zibba, vero autore", il commento di Tortarolo". Il Secolo XIX (in Italian). 21 February 2014. Archived from the original on 23 February 2014. Retrieved 23 February 2014. ^ "Sanremo 2015: Malika Ayane vince il premio della critica". TV Sorrisi e Canzoni (in Italian). 14 February 2015. Archived from the original on 15 February 2015. Retrieved 15 February 2015. ^ "Sanremo, la quarta serata. Giovanni Caccamo vince tra le Nuove Proposte". Ansa (in Italian). 14 February 2015. Archived from the original on 14 February 2015. Retrieved 14 February 2015. ^ Paola Italiano, Francesco Zaffarano (13 February 2016). "A Sanremo 2016 trionfano gli Stadio: Lo stesso brano era stato scartato l'anno scorso". La Stampa (in Italian). Archived from the original on 11 January 2017. Retrieved 27 January 2017. ^ Massimo Longoni (13 February 2016). "Festival di Sanremo 2016, Francesco Gabbani vince nelle Nuove proposte". Archived from the original on 2 February 2017. Retrieved 27 January 2017. ^ "Sanremo - 50 anni di storia - 1964: Non ho l'età". la Repubblica (in Italian). Archived from the original on 10 February 2011. Retrieved 1 December 2011. ^ "Sanremo 1964 (14a Edizione)" (in Italian). HitParadeItalia.it. Archived from the original on 7 April 2012. Retrieved 1 December 2011. ^ "Francis, Connie". Treccani. Archived from the original on 4 March 2016. Retrieved 1 December 2011. ^ a b c "Sanremo 1965 (15a Edizione)" (in Italian). HitParadeItalia.com. Archived from the original on 15 February 2012. Retrieved 1 December 2011. ^ a b "Sanremo 1966 (16a Edizione)" (in Italian). HitParadeItalia.com. Archived from the original on 7 April 2012. Retrieved 1 December 2011. ^ "Sanremo 1967 (17a Edizione)" (in Italian). HitParadeItalia.com. Archived from the original on 30 September 2011. Retrieved 1 December 2011. ^ a b c d e "Sanremo 1968 (18a Edizione)" (in Italian). HitParadeItalia.com. Archived from the original on 11 March 2012. Retrieved 1 December 2011. ^ a b "Sanremo 1969 (19a Edizione)" (in Italian). HitParadeItalia.com. Archived from the original on 7 April 2012. Retrieved 1 December 2011. ^ "Sanremo 1971 (21a Edizione)" (in Italian). HitParadeItalia.com. Archived from the original on 7 April 2012. Retrieved 1 December 2011. ^ Mario Luzzatto Fegiz (2 March 2003). "Venti big in gara e tre favoriti: Britti, Alexia, Zanicchi". Corriere della Sera (in Italian). Archived from the original on 13 September 2012. ^ "Sanremo 2008, P&P pronti al via 'Dura più del governo di centrosinistra'". la Repubblica (in Italian). 29 January 2008. Archived from the original on 17 October 2010. ^ Mario Guglielmi (14 February 2011). "Festival di Sanremo, tutti i presentatori delle 61 edizioni della rassegna canora" (in Italian). www.riviera24.it. Archived from the original on 29 May 2012. Retrieved 18 August 2011. ^ a b "Tutti i conduttori del Festival di Sanremo". la Repubblica (in Italian). 1999. Archived from the original on 24 February 2011. Retrieved 18 August 2011. ^ "Troppi capricci, Tamara. La Ecclestone cacciata da Sanremo". la Repubblica (in Italian). 20 January 2012. Archived from the original on 3 March 2016. Retrieved 21 January 2012. ^ "Sanremo, Luciana Littizzetto ha detto sì a Fabio Fazio" (in Italian). TG1. RAI. 1 October 2012. Archived from the original on 1 October 2012. Retrieved 1 October 2012. ^ Steve Paxton (30 December 2008). "Sanremo 2009: Singers, Songs and Controversy". www.eurovisinoary.com. Archived from the original on 4 October 2011. Retrieved 1 December 2011. ^ "Arcigay contro il Luca di Povia". TGCOM (in Italian). 23 December 2008. Archived from the original on 18 March 2012. Retrieved 1 December 2011. ^ "Povia: "ecco chi è il vero Luca"" (in Italian). mentelocale.it. 10 April 2009. Archived from the original on 26 April 2012. Retrieved 1 December 2011. ^ Mario Luzzatto Fegiz (22 February 2009). "Trionfa Carta". Corriere della Sera (in Italian). Archived from the original on 20 November 2015. Retrieved 1 December 2011. ^ "Festival di Sanremo 1960 - TV Sorrisi e Canzoni". sorrisi.com. 27 January 2015. Archived from the original on 15 February 2017. Retrieved 6 May 2018. ^ "Festival di Sanremo -L'Anno 1988". www.festival.vivasanremo.com. Archived from the original on 18 October 2016. Retrieved 6 May 2018. ^ "Sanremo, i primi nomi". TGCOM (in Italian). 27 August 2007. Archived from the original on 18 March 2012. Retrieved 1 December 2011. ^ Gigi Vesigna (21 February 2010). "Irene sbanca Sanremo". Famiglia Cristiana (in Italian). Edizioni San Paolo. ^ Italia, Rolling Stone. "Perché i Grammy Award non sono Sanremo". rollingstone.it. Archived from the original on 15 February 2017. Retrieved 6 May 2018. Wikimedia Commons has media related to Sanremo Music Festival.